We’re well into 2018– so what’s all the chatter about in the world of retail? We break down the three big topics that keep owning the conversations and driving the future of the industry. 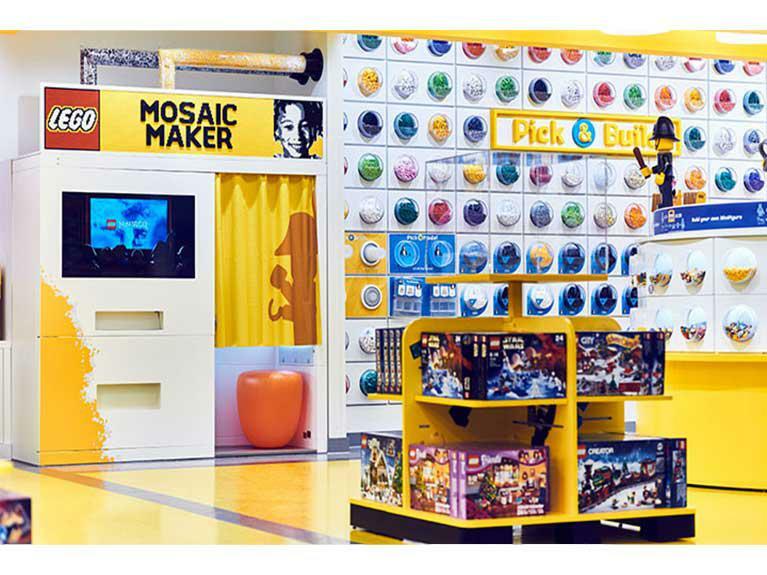 A 2017 study by reputation.com found the Lego store had the best in-store experience. Tired of hearing about the customer experience and how stores need to step it up to compete? Well, it’s still the most prolific topic when it comes to 2018 retail. This isn’t particularly surprising, considering that the number of major store closings this past year sent shockwaves through the industry. After that, many stores started scrambling a bit to avoid the same fate… And making a retail location more than just a distributor of product seems to be a big part of the puzzle. That means taking a hard look at the experience of shopping in a store– Is it a pleasant experience that draws people in? Are the salespeople knowledgeable and legitimately helpful? What can you offer in your store that you can’t provide from Amazon’s website? Another part of that same puzzle is consistency across experiences. “Omni-channel” isn’t a new buzzword, if anything, it’s become a very saturated term over the past decade. But fusing shopping experiences whether by phone, online, or in-store is still relevant. For some excellent Omni-channel examples, check out this post. As technology advances and becomes more accessible for smaller retailers, there’s really no reason a customer shouldn’t have a unified experience whether in a big-box store or the Rug Shop on Main Street. Why let someone leave your store without making a purchase just because the right color isn’t on the shelf? Or what about more incentives to buy? This could be as simple as giving them a coupon for ordering online but then letting them pick up in the store that same day. The primary goal is to make the shopping experience with your brand as seamless and easy as possible. That makes customers happy, and happy customers come back. At this point, we know the future of retail will not revolve not around platform distinction. The consumer is what everything will revolve around. There’s a lot of renewed interest in retail-specific technology, much of which stems from trying to meet the bar that Amazon has already set. Artificial Intelligence, voice search, chatbots and virtual reality are all new technologies that have been stirring up talk. Lowe’s Holoroom headset provides a virtual reality experience for home projects. Many larger retailers have jumped on the tech-everywhere trend. For example, brands like Home Depot and Bonobos provide their sales reps with handheld devices so that customers can check out anywhere in their store. 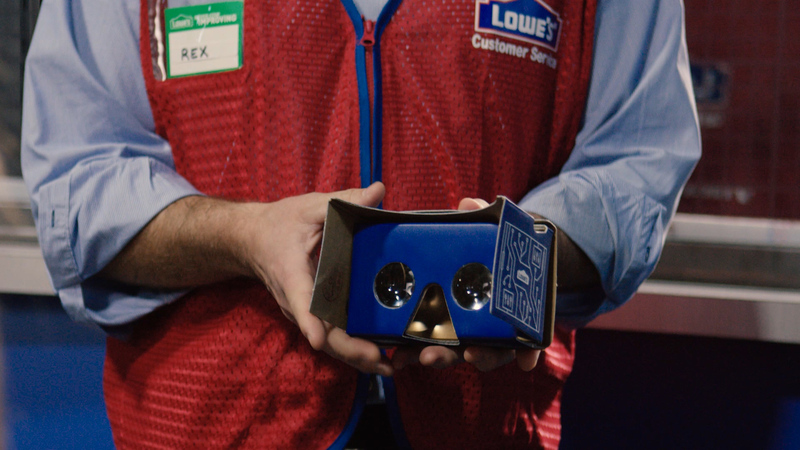 Lowe’s took up the virtual reality craze by creating Holoroom. Holoroom lets customers select kitchen and bathroom installations, then place them in a virtual space with customized dimensions. With this type of VR, customers can experience their own computer-generated creations before putting down the big bucks for a home project. Other brands are getting quirky with technology to delight customers– Not too long ago, Ikea shoppers were given RFID-activated wooden spoons as a way of selecting products, then they were able to use cashless checkouts at a pop-up location. Regardless of how retailers are utilizing innovation and technology, it’s becoming clear that virtual and physical worlds are melding together to make the shopping experience more powerful and easier than ever before. Data, data, data– It’s the clear path in 2018 retail. Why? Because data empowers a retailer to better serve their customers. And serving customers better means they buy more. A lot of this data stems from the power of digital and the availability of those online metrics. For example, take what can be collected from a consumer shopping on a website. The retailer can see what they click on, what they buy, what they delete from their shopping cart, how long they dwell on a product’s detail page, among many other behaviors. Then, digital marketing enables retailers to respond to these behaviors with specific product promotions and messages. But past online shopping, new technology is on the rise to get data from physical behaviors in store. It won’t be long before a retailer will know what a customer looks at in a store, what they pick up and keep, what they put down, where they walk in the store, where they spend time standing and what catches their attention. While it seems like this could be a bit on the invasive side, many customers say they’d actually prefer it if it means they get better convenience and service. A report from Accenture states “65% of consumers say they are more likely to shop at a retailer in-store or online that knows their purchase history.” Having specific information on each consumer will allow a retailer to offer more products that are tailored to individual preferences. There you have it– three big things dominating the chatter in 2018 retail. To learn more about prominent trends, check out our post on 2018 Retail Trends.